About the Directed "Car Connect"
More and more people are discovering the advantages of HD Radio, which let radio stations broadcast digital versions of their normal programming. Directed's "Car Connect" universal HD Radio tuner allows you to tune in these digital broadcasts, as well as the additional free HD Radio channels many stations also broadcast  channels that regular radios can't pick up. And, with HD Radio broadcasts, FM signals approach CD-quality sound, AM sounds as good as current FM, and fading, static, and crackling become a thing of the past. You can add the "Car Connect" HD Radio tuner to virtually any car audio system, whether it's a factory stereo or a brand-name CD receiver you've installed yourself. 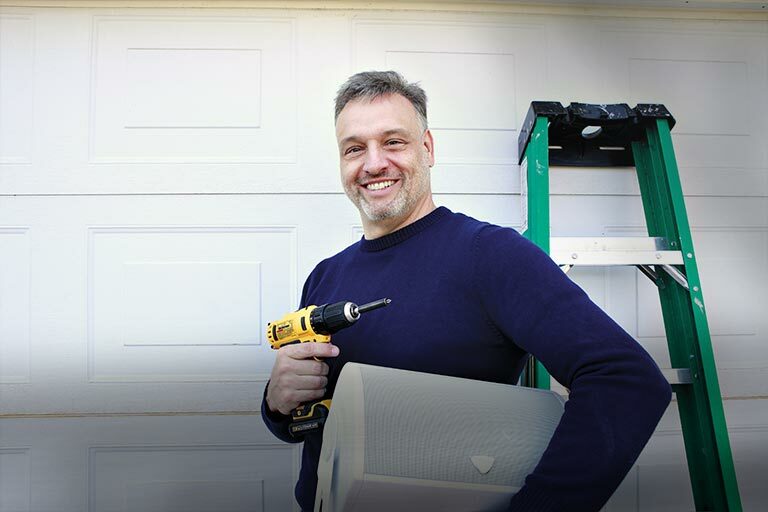 You install the compact tuner box in an out-of-the-way location, and connect it to your current stereo with either the built-in wired FM modulator or the auxiliary stereo output. Mount the control panel in a convenient spot on your dash and you're ready to go. The control panel features a large, backlit multi-line display that shows station information, as well as artist and song title, with previews for the station's multicast channel. Use the 20 FM and AM presets to skip to your favorite stations with the touch of a button. If you're in unfamiliar territory, just use the manual or seek tuning. Antenna adapters might be required if you're using the FM modulator to connect a "Car Connect" tuner to your factory stereo. If you haven't already done so, please enter your vehicle information, and we'll include them free with your order if needed. Works fine but has trouble holding a signal, probably b/c i have no rod antenna in my car, just window prints. AM is no better imo. FM sounds amazing and I love the new stations. The modulator is terible (atleast in my setup, 01 infiniti i30) So i recommend going with the rca outputs if possible. Review the Directed "Car Connect"
More details on the Directed "Car Connect"
Sound Quality: Radio stations can broadcast more information more accurately with a digital signal, without static or fading in and out. HD Radio describes it as "FM stations with CD-quality sound and AM stations with FM-quality sound." Multicasting: Multicasting means stations can split their signal into two or more different feeds of programming. This potentially gives you two different radio shows or songs on the same frequency (for example, 95.1 would become 95.1-1 and 95.1-2). Text information: Stations can send digital text information to be be displayed on your radio, in this case the Commander LCD display. Typical broadcast information includes artist and song title, weather, or traffic information. 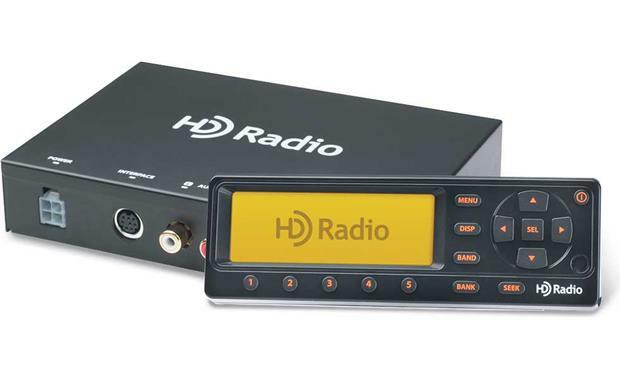 Reception Modes: Along with HD Radio digital transmissions, the DMHD1000 receives analog AM and FM stations, as well as RDS (Radio Data System) information. Seek Modes: In addition to manual tuning, you can seek stations in three different modes; All (all stations), HD (HD Radio stations only), and Preset (only the stations you've programmed). Preset Tuning: The tuner allows you to store up to 20 presets, five in each of the four preset banks. Toggle though the preset banks (A, B, C, and D) using the Bank button. Directly access presets in the current bank using one of the preset buttons (1-5). Display: The Commander has a 4-line display with several different modes. The Status Line across the bottom is common between the display modes. The Status Line shows the preset bank, preset number, seek mode, reception type (AM, FM, RDS FM, HD), and signal strength. When tuning an analog AM or FM station just the band and frequency are displayed on the upper three lines. HD Radio stations offer three options; artist and song title both in a large font, Frequency in a large font and band, artist, and song title in a smaller font, and artist and song title for all the multicast channels on the current frequency. With RDS equipped FM stations you can display the station name and the RDS text, or the frequency and the RDS text. The display brightness and contrast are both adjustable. Dimensions: Width=4.727", Height=1.571", Depth=0.695". FM Modulator: The receiver's built-in FM modulator can be set to any frequency from 88.1 MHz and 107.9 MHz (in 0.2 MHz steps). The FM modulator can be turned off if not in use. The modulator is wired and plugs into the antenna input of your radio. The benefit of using an HD Radio tuner even with no line level input on your existing radio is reception clarity. When tuning a digital station you'll hear no static and stations won't fade in and out, even AM. Remote: The wireless remote has the same buttons as the Commander with two exceptions; it has no menu button and it adds a mute button.